At Sugar Bowl, your safety and enjoyment is our number one priority. How to be prepared for and handle a mountain emergency. 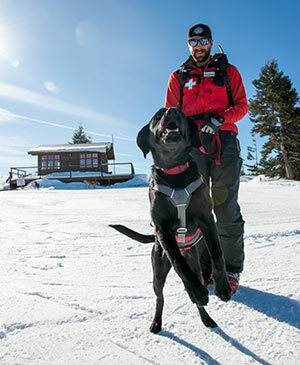 SKI PATROL and EMERGENCIES call (530) 426-6727, or 9-1-1. Members of Ski Patrol are dressed in red uniform jackets with white crosses. Their primary roles on-mountain are to provide assistance and care for injured guests, to assess and mark hazards, perform avalanche reduction operations and share their knowledge of safe skiing practices with our guests. First Aid – lower level of Judah Lodge past Special Tickets; Village Lodge past the Hotel front desk down the corridor from the Gondola terminal. Ski Patrol block houses – are found at the top of the following lifts: Mt. Disney Express, Mt. Lincoln Express, Jerome Hill Express, Mt. Judah Express and Summit Chairlift. You’ll see Mountain Safety personnel in their bright yellow jackets throughout the day in slow zones and high traffic areas helping guests and controlling the flow of traffic. 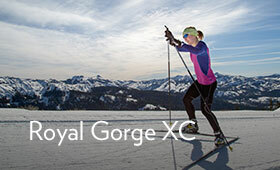 With your help, we look to create a safe skiing/riding culture for our community of mountain lovers! If someone is injured, do not remove their skis or board, but place your own or other crossed skis/snowboard uphill from the injured person; do not move them unless absolutely necessary. Call Patrol at (530) 426-6727, or if outside resort operation hours, call 911. Stay with the injured person until Patrol arrives. Patrol will ask for the number of the phone from which you are calling, your location on the mountain, a description of the injured person, and the nature of the injury. 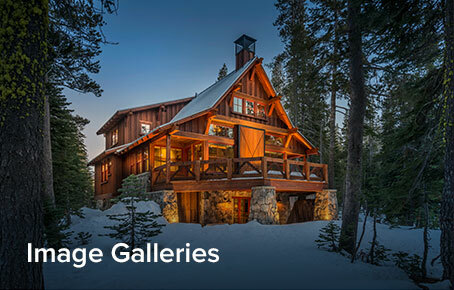 Tahoe Forest Hospital, 11 miles from Sugar Bowl Resort in Truckee at 10121 Pine Avenue, provides emergency care 24 hours per day. 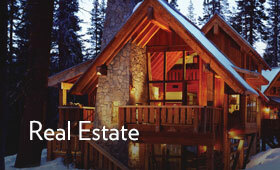 Call (530) 587-6011. 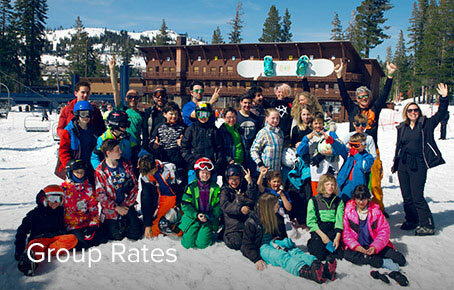 Sugar Bowl is committed to promoting skier/rider safety to its guests and employees. In addition to people using traditional alpine ski equipment, you may be joined on the slopes by snowboarders, snow bladers, mono-skiers, telemark skiers, or skiers with disabilities using adaptive equipment. All equipment must have metal edges and bindings. 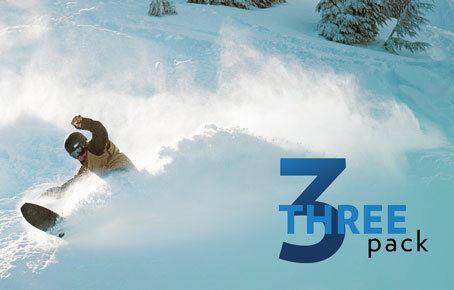 Use of any other equipment, such as sleds, snow skates, snow decks, toboggans, tubes, trays, saucers, personal snow bikes, etc., is strictly prohibited on resort premises. OBJECTS ARE CLOSER THAN THEY APPEAR - STAY IN CONTROL AND ABLE TO STOP. NSAA developed the "Objects are Closer Than They Appear" campaign to shine a spotlight on the first tenet of Your Responsibility Code: Always stay in control and be able to stop and avoid other people or objects. Warning, Objects Are Closer Than They Appear. Fixed Objects Don’t Move – You Do! Factoid – At 27mph You Need 60 feet and 1½ Seconds to Avoid a Tree. Defensible Distance – Do You Have It? HELMET USE - EQUIPMENT & BEHAVIOR ARE PRIMARY SAFETY MEASURES. Along with NSAA, we promote the use of helmets on the slopes. We urge skiers and riders to wear a helmet - but to ski or ride as if they are not wearing a helmet. NSAA views skiing and snowboarding in a controlled and responsible manner - not helmets only - as the primary safety consideration for all skiers and boarders. A skier's behavior has as much or more to do with the safety of the sport as does any piece of equipment. TIPS FOR SUCCESS (Your Responsibility Code #7). Need assistance? Ask the lift attendant for help. Remove & carry packs. Children in packs are not allowed on chairlifts at Sugar Bowl. When loading, watch for the approaching chair and then sit to the back once seated! Absolutely NO horseplay on the lifts! 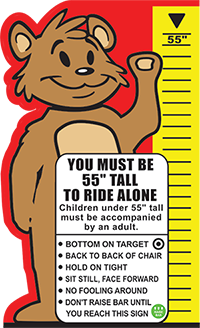 SPECIFIC GUIDELINES FOR CHILDREN UNDER 55” TALL. Identifying children that will have trouble loading, riding and unloading lifts. Pairing these children with adults. Loading children into the chair including lowering the bar. Educating everyone on the proper way for children to ride the lift. 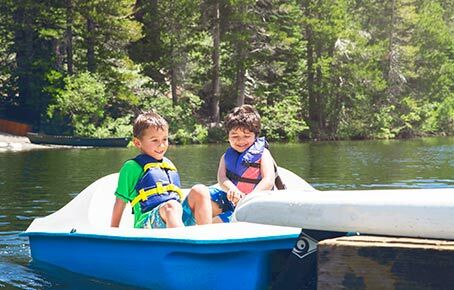 The Kids on Lifts safety talk is covered at the onset of all age-appropriate lessons. Raising the bar at the right time and unloading. It is everyone’s responsibility to adhere to Kids on Lifts safety protocols. This is a partial list. 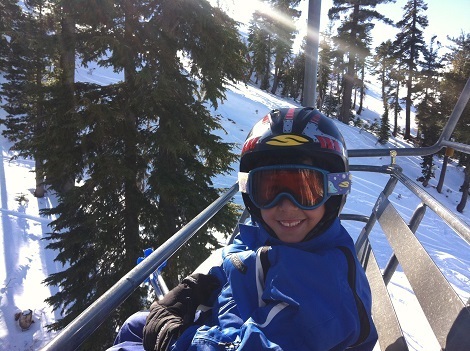 In December of 2011, our community suffered a great loss when John Marco Henderson, age 7, died after falling from the Mt. Lincoln chairlift while skiing with the Sugar Bowl Ski Team. In the aftermath of this terrible accident, Sugar Bowl and the Henderson family formed a unique partnership to investigate what happened to John in order to determine what steps could be taken to prevent a similar tragedy. Reporting Skier Collisions - It's The Law! Placer County Code § 9.28.040 requires when involved in a skiing collision with other skiers which results in bodily injury to another person, a skier shall not depart from the scene of the accident without first leaving his or her name and address with the ski patrol in the ski area where such injury occurred. Failure to report shall constitute a misdemeanor. Per § 9.28.090 A., any person convicted of a misdemeanor for violating the provision of Section 9.28.040 shall be punished by a fine not to exceed one thousand dollars ($1,000.00) or by imprisonment in the County Jail not to exceed six months, or by both such fine and imprisonment. CONTACT SKI PATROL IMMEDIATELY IF YOU ARE INVOLVED IN OR WITNESS A COLLISION RESULTING IN INJURY AT (530) 426-6727. Sugar Bowl is committed to promoting skier/rider safety in all its terrain parks. SMART STYLE - PARK SMART - RESPECT GETS RESPECT. RESPECT the features and others. TAKE IT EASY. Know your limits. Land on your feet. Do not stop or ride through landings. If there are boards or skis in front of a jump, the jump is closed so go around the feature. When not using features, stay off to the side of the trail, out of the way. Use features in the manner in which they are intended. Don't jump off the sides of the takeoffs. The standards listed below are not exhaustive, but they are the most prevalent behaviors that generate guest complaints, dissatisfaction and injury. These behaviors are not permitted at Sugar Bowl and depending on severity, may result in education or application of the Three Strikes Program. Failure to abide by the 7 points of Your Responsibility Code (above). Malicious throwing – snowballs or any other items/objects. Talking on cell phones while loading/unloading lifts. Failure to observe posted boundary, closure and warning signs, bamboo and ropes. Excessive speed in slow zones and in congested areas (lift mazes, base areas). Failure to abide by the directions of resort personnel. For violations of the Code of Conduct we use a severity and escalation approach to consequences. First time violations of mild severity will likely result in education and a warning. Relatively minor violations where the guest’s response escalates the situation may result in a higher degree of consequences. 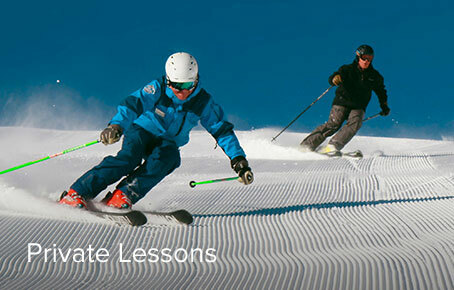 More severe and subsequent documented violations will result in privilege suspensions up to and including revocation of lift tickets and season passes, and in the event of violation of statute/law, referral to law enforcement.